20 participants completed the Worcester Co-op Business Academy this year and have created a strong cohort of cooperative entrepreneurs to support each other going forward. Here are the participants and a tabulation of the results of the Academy. 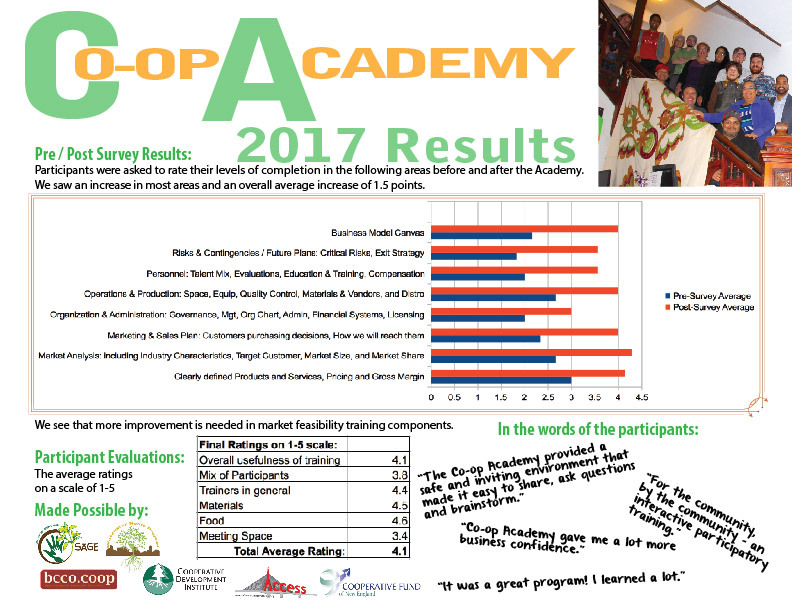 Co-op Academy Fall 2016 report here. 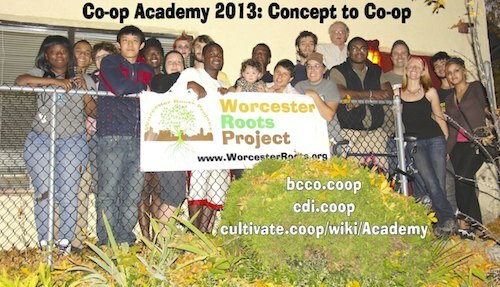 We’re excited to announce the success of the 2014 Worcester Co-op Academy ADVANCED LEVEL. It was geared towards conversions and returning Co-op Academy participants who are interested in focusing on key areas and getting them done! The training included in-depth legal, governance and business planning support, mentorship and a community of co-ops struggling through similar challenges. 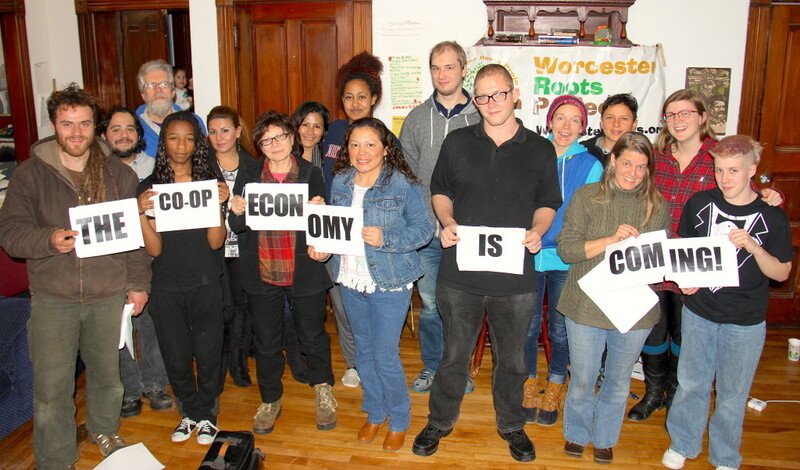 The Worcester Roots, Solidarity And Green Economy (SAGE) Alliance, Cooperative Development Institute, and Boston Center for Community Ownership organized a “Coop Academy” training in Worcester, MA, in the Fall of 2013. The training was be led by experienced trainers and speakers and included one on one coaching with a successful entrepreneur / co-oportunista. Through this training participants gained access to peer support, legal assistance, greater visibility for your coop, web site development, logo design and many other resources. 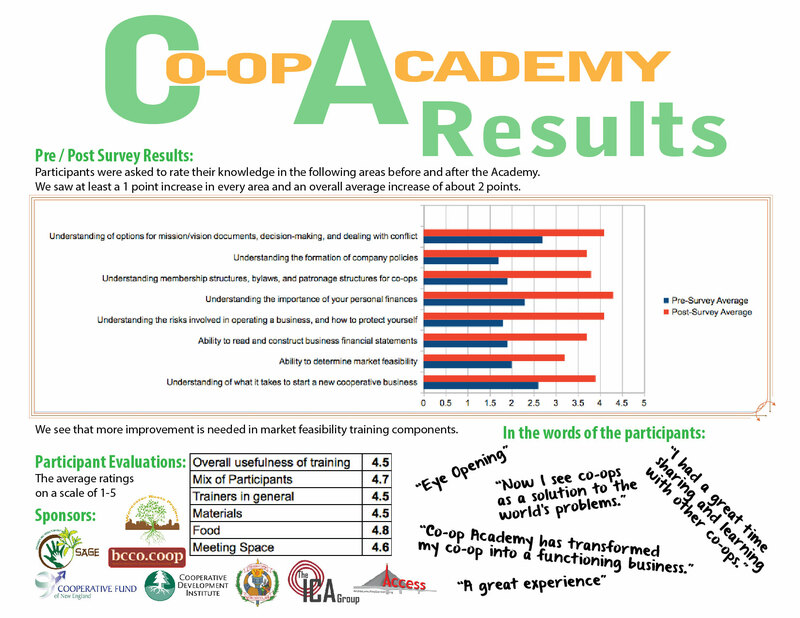 Results from the Fall 2013 Co-op Academy HERE.